Our round-up from around the local cricket pitches this week takes us to Fittleworth, Lodsworth and beyond - and includes news of All-Stars Cricket for kids taking off locally. With 225 on the board Aldwick must have fancied their chances but they could not have legislated for the batting prowess of Fittleworth’s Liam Kitchener (75) and Barry Homewood (100* ) who completed his century with the last ball of the game. Kitchener and Homewood put on 118 for the fourth wicket. Earlier, an opening stand of 97 from Jordan Samad (68) Alex Cooper (22) set up things nicely for Aldwick and with further contributions from Harry Rossor (48) and Ian Horner (22) things looked rosy but in the end it was not enough as they lost by six wickets in the end. Alex Wordell (4-14) helped stem the flow of runs with a fine spell. Loxwood stalwarts Ben Jeffery and Simon Johnston strode out confident after plenty of practice. However, at 13 for one, and then 23 for two (extras 11), Loxwood had to settle in. Jamie Rountree (29) and Patrick Haywood (34) put on 50-plus before Haywood was trapped lbw by Long (12-2-43-2), and Rountree ran himself out. The plucky James Smyth and Gus Fletcher struck another 25 between them, and the innings was finished by some big hitting from Anil Mane and young Chris Slater. Simon Pett was not out. Lodsworth started with Matt Hall playing a magnificent innings of 52 before being trapped lbw by Rountree (11-2-27-2). Haywood snaffled three wickets but Lodsworth were in charge – until the Mane and Slater (1-0-2-2) show. 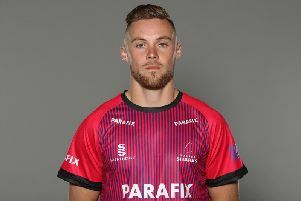 The quick hands of Fletcher managed Slater’s first stumping, followed in the same over by the only catch of seven chances that Loxwood managed to hold on to – taken by Mane at square leg. Smyth and Pett bowled well and were unlucky not to take any wickets. However, King made the most of being spilled three times on ten – mostly off some great bowling from Davies – going on to winning the match for Lodsworth with a glorious 42. In the beautiful setting of Hawkley’s cricket ground, the hosts won the toss and chose to bat first. Lavant’s opening bowlers Ian Rawnsley and Danny Berkley soon had Hawkley in trouble at 15 for three. This brought Brown and opening batsmen Arron Stewart together and they took the game away from Lavant with powerful hitting all around the ground. Eventually Brown was bowled by Steve Brooker when the score was 171 for 4, a stand of 156 runs. Stewart increased the run rate until he was bowled by Sam Roe for 106, allowing Hawkley to declare at 236 for seven. Lavant’s reply started slowly and they were struggling at 22 for three, the run-out plague continuing from previous games this season. Brooker continued his fine form scoring an unbeaten 75 as wickets fell at the other end. Hawkley switched their bowlers around but couldn’t take the last two wickets as Lavant scraped home for a draw ending on 145 for eight. Emsworth made the trip to Petersfield for their first game of the season and won well. After being asked to bat Emsworth scored at a very good rate and never dropped below six an over. Lewis Roberts made 140 and captain Barrie James 90, helping Emsworth amass 358-5 in 45 overs. Petersfield couldn’t cope with the pace attack of Emsworth and collapsed to 63 all out. Rob Norris ended with 4-11 and Ant Norris 4-4. Chasing 192 to win, Emsworth seconds lost by one run to Bedhampton, losing their last wicket trying to scurry a bye to the keeper off the very last ball. Emsworth chose to field and Bedhampton initially struggled to 39 for four. But they recovered to 191 for sixs. The reply saw Emsworth struggle to 70 for five but a sixth-wicket stand of 86 between skipper Dermot Lewis and wicketkeeper Phil Albury helped set up a tense finale. Needing four to win off the last over with one wicket remaining, they managed two singles before the last ball saw Albury run out. * All Stars Cricket is taking off at Chichester Priory Park. They still have some places available on the eight-week course for five tyo eigt-year-olds. Junior training at the club has started with fantastic numbers. The club’s under-11s, under-13s and under-14s all had wins on the opening weekend, beating Middleton, Chippingdales and Middleton respectively.